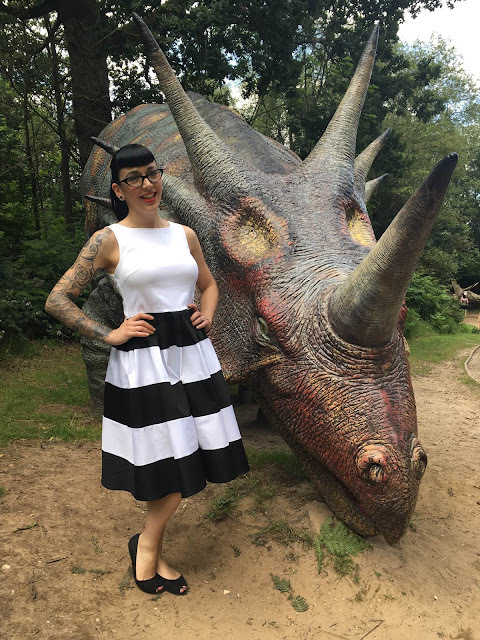 So this weekend we had our lovely friends Carl & Jen Ara over to stay with their 7 year old son Ethan, which gave us the perfect excuse (although one is seldom needed) to go to the Dinosaur Adventure Park in Norwich! Spencer and I had our engagement photo shoot in the park last year, and the pictures were amazing, so I couldn't wait to go back again and take some pictures in the Anna Adorable Striped dress from Dolly & Dotty. 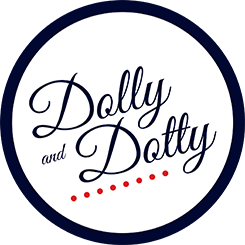 Until this weekend, I had not tried anything from Dolly & Dotty, and oh have I been missing out! 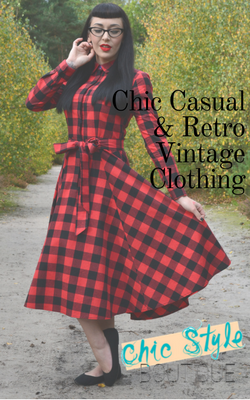 They have an absolutely wonderful range of Swing Dresses, Day Dresses, Wiggles, Skirts and Tops and what is even more wonderful, is that they don't cost the earth. The Anna Adorable dress is a measly £29.99, yet there is zero compromise on quality. The dress is of a high quality fabric, yet not too heavy, so it is multi-seasonal. 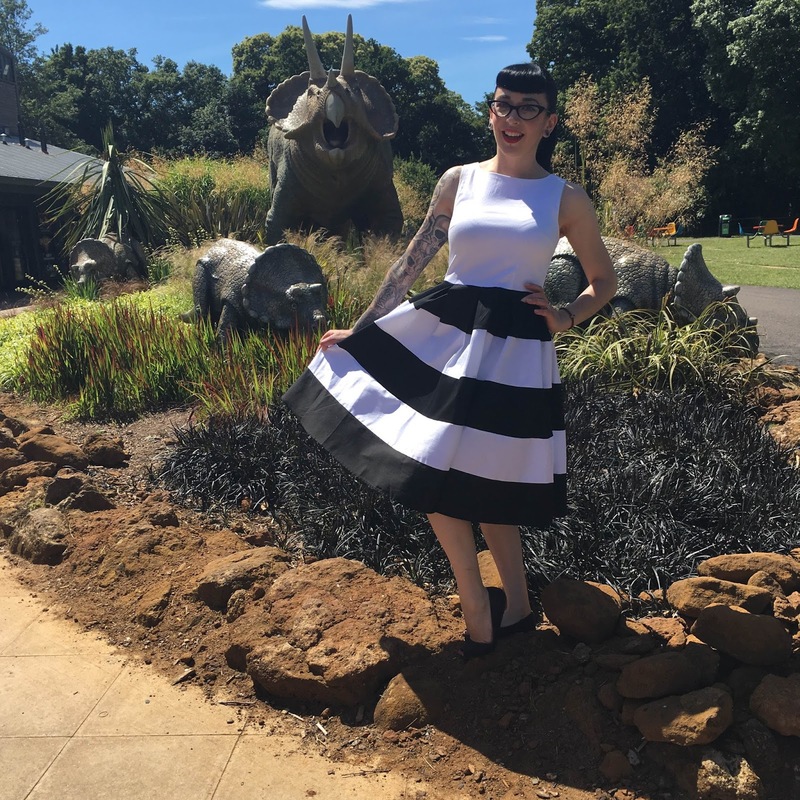 It was over 25 degrees on Saturday, but I was perfectly cool in the Anna dress. Just hanging out with a Triceratops - I think? The dress has a secure side zip, scoop neckline at the front and a small scoop at the back. In terms of fit, I have the following measurements: Bust - 35in, Waist - 26.5in and the Size 8 dress that I am wearing was described as: Bust - 31-33, Waist - 25-26. So given these measurements, I would suggest that the dress is true to size, with ample stretch if you need it. This dude was definitely digging my stripes. What is also nice about this dress is that it is perfect to dress up or down. 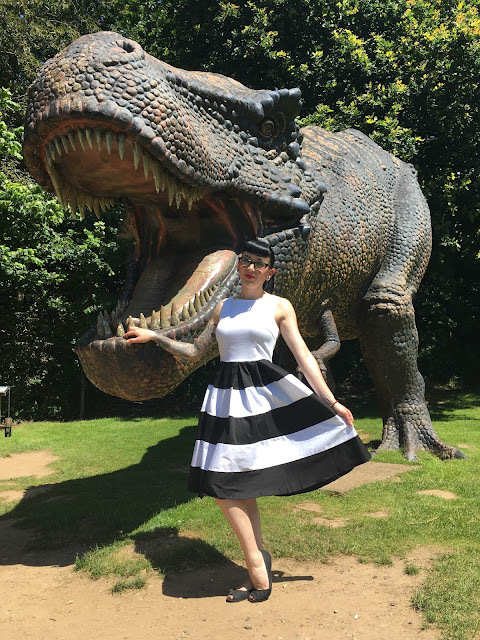 I dressed it down on Saturday with a paid of flats from George at Asda and it worked perfectly for a chilled day out at the park. But if you add a petticoat and some accessories, I think it would also work really well dressed up for a night out. I wore the Anna dress in white and black, however, it comes in another 4 colourways! Black and White, Red and White, Black and Red and White and Yellow and I am utterly convinced that I need them all! It was stylish, comfy, lightweight, not too dressy for a day out and I felt fabulous! 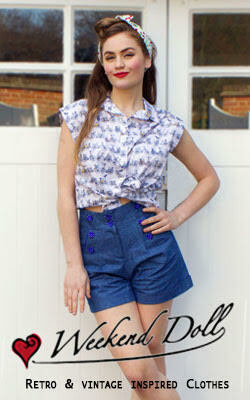 I really cannot wait to try more from Dolly & Dotty!